185: "Unwanted Guest - Part 1"
198: "Sinister Secrets - Part 3"
Story 7: Grand Championship, known as Story 7: KC Grand Prix (Ｓｔｏｒｙ（ストーリー）７ Ｋ（ケイ）Ｃ（シー）グランプリ Sutōrī Nana: Kei Shī Guran Puri) in the Japanese version, is a story arc in the Yu-Gi-Oh! anime. 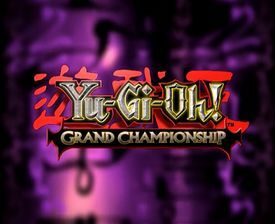 In this story, Kaiba Corporation hosts the Grand Championship tournament, where the winner gets a chance to face Yugi Muto for the Duel Monsters World Champion title. This page was last edited on 19 April 2019, at 16:26.